It's the start of Labor Day weekend in Spokane, and that means Pig out in the Park! Now through Monday, September 4, Spokane becomes Music City USA with 85 bands performing at the 38th annual Pig Out in the Park at Riverfront. Three stages with non-stop music from noon until 10pm every day. I will be the host at the Clocktower stage so come by and say hello. This year's line up includes: Cattywomp, Sir Mix-A-Lot, Karrie O'Neil, Paul Revere's Raiders, David Raitt and The Baja Boogie Band, Wyatt Wood, Maxie Ray Mills & Steve Sackett, Ron Reed Music Project, Elvin Bishop Big Fun Trio, Too Slim & The Taildraggers, Charlie Butts & The Filter Tips, Trailer Park Girls, Just Plain Darin, Sammy Eubanks, Randy Hansen, Spare Parts, The MasterClass Big Band and many, many more. Go to spokanepigout.com and check out all the great music and food at this year's Pig Out in the Park. 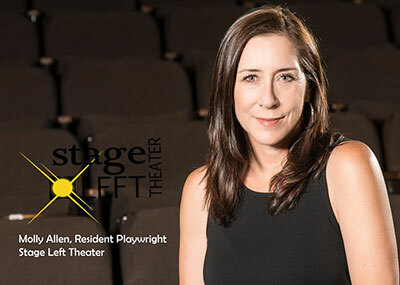 Molly Allen, radio personality, local actress and playwright has volunteered to be Stage Left Theaters Resident Playwright, helping to not only produce the four existing Playwright Festivals at Stage Left, but also helping to develop a new festival for local Spokane Playwrights. Stage Left Theater will be presenting a Showcase of a few of Molly's existing works on October 6-7-8 to introduce the community to Molly and her work as a Playwright at Stage Left Theater. The showcase will feature a one act of a play produced at Ignite! last year, a reading of part of a new play she is working on and a short play that won audience favorite at the Spokane Civic Theater Playwright Festival this year. Tickets to this Playwright Showcase are available for $10 at BoxOffice@SpokaneStageLeft.org. For more information, visit Spokane Stage Left on Facebook. Enjoy free Labor Day Weekend park concerts by the Spokane Symphony Orchestra. Pavillion Park in Liberty Lake, Saturday, September 2 at 6pm, and at Comstock Park, Labor Day, Monday, September 4 at 6pm. Get all the details at www.spokanesymphony.org. This Thursday, August 31, the Martini Brothers will be performing popular cover tunes at Arbor Crest's Pairings on the Patio, Jewelry by Janet Cook will be on display. Music runs from 5:30-7:30. $5 admission. 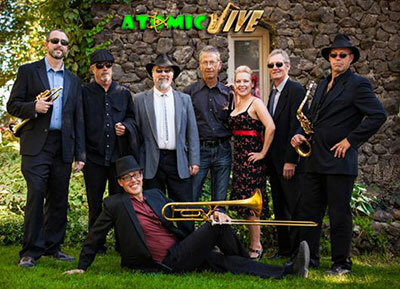 This Sunday, September 3, Atomic Jive will perform their blend of Swing, Rockabilly, and Rhythm & Blues. Music runs from from 4:30-Sunset. $10 admission. Wine, beer and food available for purchase. Visit arborcrest.com for more details. Slithering in at 48 feet long and weighing an estimated one-and-a-half tons, a realistic replica of the world's largest snake is on exhibit at Mobius Science Center now until November 26. The Smithsonian shares Titanoboa: Monster Snake, an exhibit of titanic proportions and its incredible story. 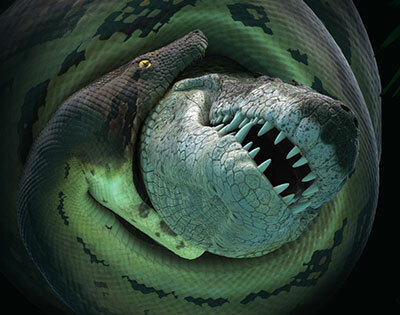 The exhibit features a full-scale model of Titanoboa, casts of the original fossil vertebrae, and clips from the Smithsonian Channel documentary; it delves into the discovery, reconstruction, and implications of this enormous reptile. Discovered in a Colombian coal mine, scientists uncovered the 60 million-year-old remains of the largest snake in the history of the world, Titanoboa cerrejonensis. In the era after the mass extinction of the dinosaurs, scientists believe that the colossal snake is related to modern boa constrictors and could crush and devour a crocodile! It is believed that this massive predator thrived in a hot tropical climate from which the South American rainforest emerged. Mobius Science Center is located at 331 N Post in downtown Spokane. Visit the website for more details, mobiusspokane.org/Mobius-science-center. The Individual World Poetry Slam (iWPS) returns to the Inland Northwest October 11-14. After a successful stint as host in 2013, iWPS will again put Spokane in the spotlight as 96 of the world's top poets compete for the championship title. iWPS brings together the best performance poets from North America, as well as poets from other parts of the world, to compete in preliminary competitions (referred to as 'bouts') over two nights. The top fourteen poets from prelims move on to Finals, where one poet is crowned the champion. In addition to the competition, each day of the festival features poetry workshops, themed open mics, special nighttime events, and parties. All events are open to the public. This event will be held at various locations in downtown Spokane, including Auntie's Bookstore, Boots Bakery and Lounge, The Bartlett, The Observatory, The Rocket Bakery at Holley Mason, Spokane Public Library, Merlyn's Science Fiction, The Bing Crosby Theatre and more. Poetry Slam, Inc. has operated national competitions since 1990. The first Individual World Poetry Slam was held in 2004. This is the second time Spokane has hosted a poetry slam on the national level. Visit iwps.poetryslam.com for more information.